Being Veteran Owned, our mission is your complete satisfaction with no waste left behind. 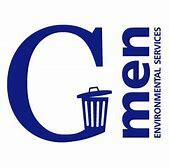 This approach has helped make G-Men ES, Inc. Northeastern Minnesota’s #1 choice for waste removal. We are committed to employing a knowledgeable & courteous staff, steadfast in the modernization of service standards and intent on the use of safe practices utilizing DOT certified equipment. All while continuing to provide affordable service you can rely on.